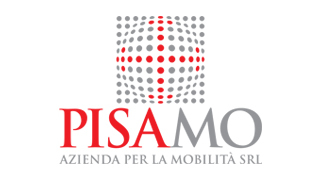 Pisamover is part of a transport strategy that aims at improving the services for the users, reducing at the same time the environmental pollution. The purpose of the execution of the park’n’ride car parks served by a high-frequency public transport system is to reduce the use of private vehicles, both in the city and from Livorno and Firenze, to the benefit of the citizens and of the city traffic, and to significantly limit the load on the main access roads to the city. The vicinity between the FS/Pisa Central Station and the Sesta Porta (Sixth Gate), wherefrom one can use the local public transport service, ensures full mobility and a thorough enjoyment of the city. Pisa historic center and its main attractions are however at a short distance from the FS/Pisa Central Station. From the FS/Pisa Central Station many regional and high speed trains will take you to Florence in about an hour.